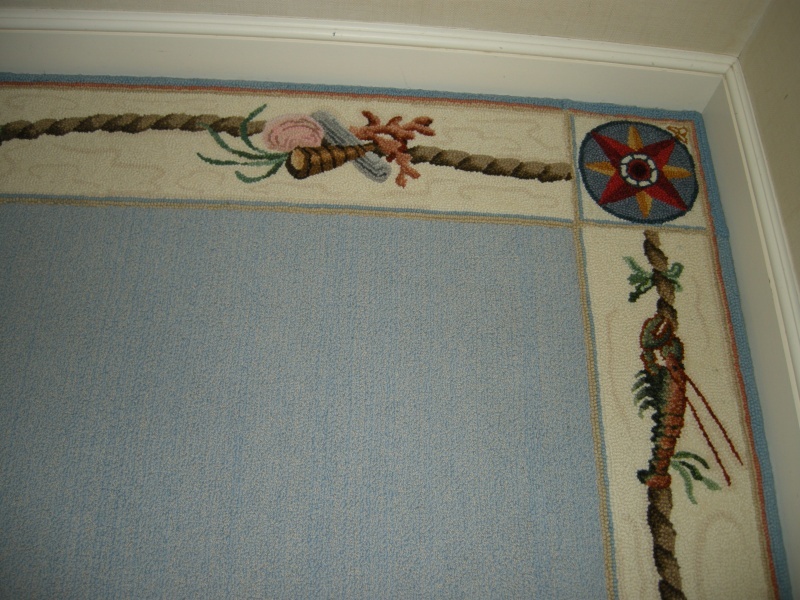 The following image are details of a hand hooked border sewn onto a custom made field. The process was quite unique for us. 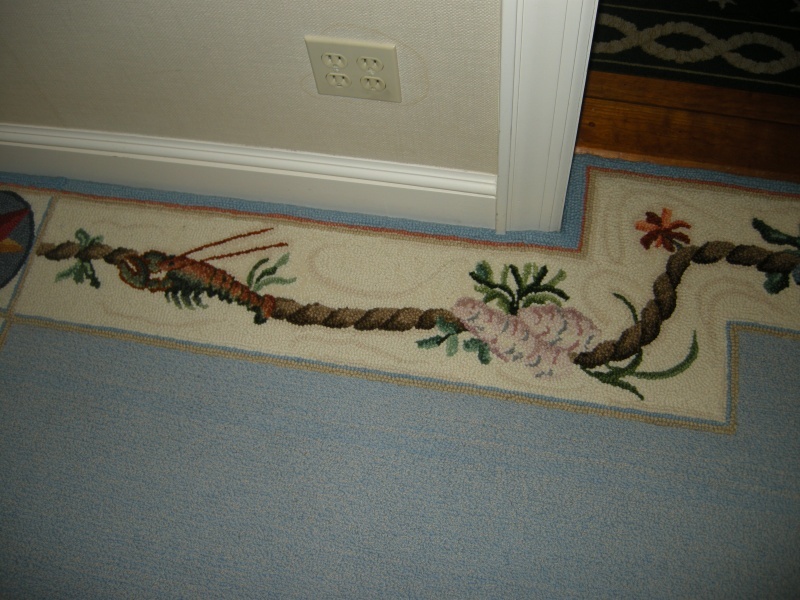 we had to make the border to exact dimensions according to the room size and shape. There was a lot of measuring and fitting before the rug was installed. The field of the rug was made at Stark Carpet, Stark was given the colors hand picked by our client and then custom made for the rooms. 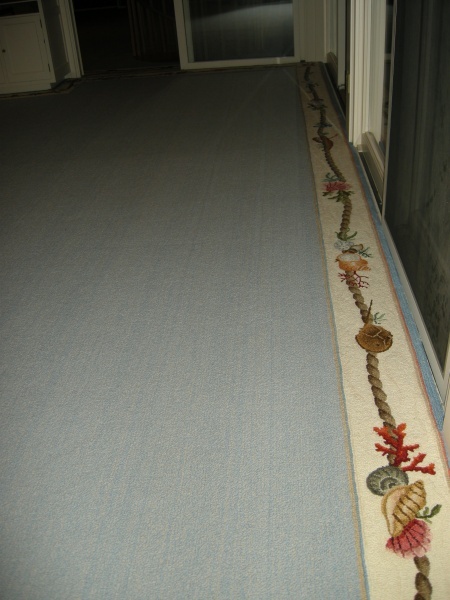 The border was the hand sewn onto the broadloom field, then fitted and installed into two rooms. The results where amazing as you can see. of the Northeast. Most people don’t appreciate the beauty we have in our own Long Island Sound.